Good Monday morning. Welcome to April. Be careful online today because the Internet loves April Fool’s Day. You’re a Spotlight reader. Don’t let ’em get you. Facebook has banned white nationalism and white supremacy. Yes, they can. Support for or posts about either are grounds for Facebook action, including account cancelation. Read their announcement, Standing Against Hate. Personal data including bank info improperly shared to contractors by FEMA we told you about last week will test the Trump Administration’s resolution to hold government officials liable according to new Washington Post analysis. The federal government also charged Facebook with housing discrimination by allowing advertisers to select the demographics of people who can view ads. We’ve written extensively about this including last week. Other tech companies remain under investigation. Facebook announces a “Why Am I Seeing This Post” feature. Here’s the announcement complete with screenshots and video. Expect to see longer content online. Google has told webmasters that it doesn’t use that helpful prev/next link you see to paginate long web content. 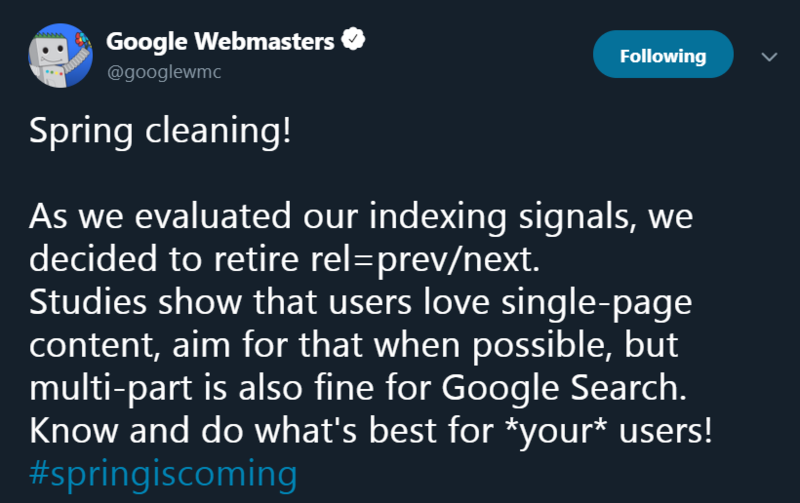 That was a guideline they published more than 7 years ago and rescinded–but never told the tech community about rescinding. Indeed. And the bigger issue is Mueller’s admonition that “each page on a website should stand on its own.” We’ve always been fanatical about including internal links for context all over long-form content. That’s something your organization should be looking at soon because when asked if Google still captured the information to create a page sequence for long content, Mueller admitted that Google hadn’t used the data in years. Also note Google’s official stance: studies show that users love single-page content. Google’s hotel listings will also get a bit more crowded. The newly redesigned feature will now include vacation rentals, the company announced Tuesday. The new listings appear now on mobile and will begin appearing on desktop searches during April. Check out the new interface. If you remember or still use Patch’s hyperlocal news websites, you’re going to love Google’s announcements about its investment in a new project called the Local Experiments Initiative. News publisher McClatchy will operate digital-only news websites in markets of fewer than 500,000 people. Google’s role is monetary – investing what it says will be millions of dollars. Google and WordPress are also collaborating on a customized version of WordPress for local media. If all that sounds familiar, AOL bought Patch from its founders for $7 million ten years ago before pumping tens of millions more into the venture before selling it in 2014. Local news interests everyone. We saw that in a great Slate feature this weekend that examined the most shared news story on Facebook this YTD. It’s a 119 word story (really) posted to the Facebook page of a Temple, Texas radio station. Read the Slate analysis of this fun story. Now add up YouTube, Netflix and Facebook video to reach 41.9%. 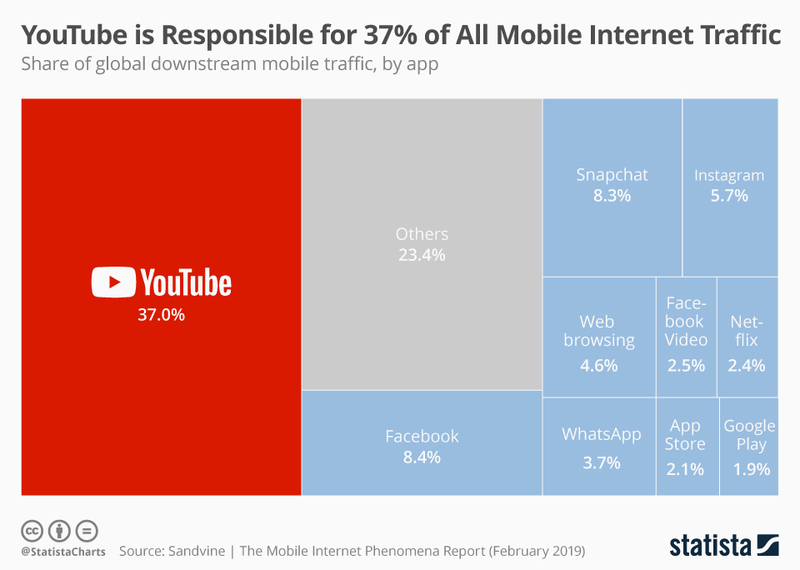 Also consider that Snapchat (8.3%) and Instagram (5.7%) are visual channels, and it’s easy to project that more than half of the world’s mobile traffic is image-based. We often write about Big Data although not usually McDonald’s. The massive restaurant chain is embracing analytics and business intelligence to the tune of a $300 million acquisition of analytics firm Dynamic Yield. On tap: drive through displays customized on the fly, ordering and supply chain improvements, and even recognition of repeat customers based on license plate readers. The company will continue operating separately, a move analysts are quick to point out only enhances the decision making abilities of the firm that has dozens of brand-name clients including AutoNation, American Greetings, Ikea, Cabela’s, and Weber. (c) 2008-2018 Silver Beacon Marketing Inc.